10 of 20 - Master bedroom with panoramic views. 11 of 20 - Master bedroom outlook towards Rangitoto. 12 of 20 - Master bedroom outlook towards Shakespear Regional Park. 13 of 20 - Upstairs mezzanine off the master bedroom. This home has been beautifully presented and impeccably maintained by the same fastidious owners since 2007, although a desire to downsize means it is time for the next lucky family to enjoy. Home comfort is mirrored with location convenience in this quiet cul-de-sac, minutes away from Gulf Harbour and commuter ferries. Spread over approximately 261 square metres of convenient family friendly living, the home is well-suited for growing or extended family with three living areas, as well as a rumpus or home gym and five genuine double bedrooms, serviced by a well-appointed main bathroom and master ensuite. The family friendly factor is enhanced by a fully fenced 728sqm section where the kids can play in contained safety and enjoy doing laps in the endless pool while the adults languish in the spa with the bar-seating. Solidly built in a blend of brick and plaster (with cavity system) construction, the home affords robust occupier confidence with the peace of mind of a security system to keep watch while your away. If you are after eco-friendly assistance, look no further as solar panels reduce the power consumption. 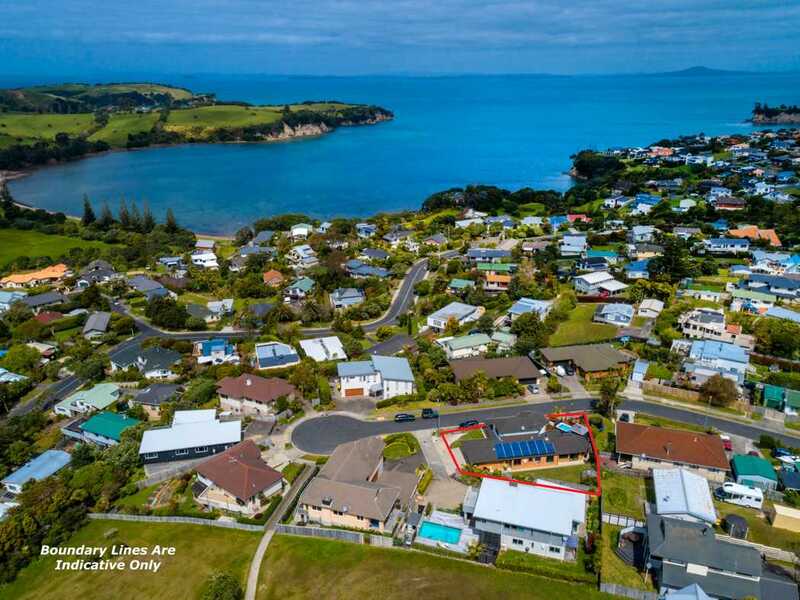 Choose from various dining destinations and retail hubs locally and around the Hibiscus Coast, as well as having schools within close proximity and commuter ferries to the CBD only minutes away at the Gulf Harbour Marina. A swift sale is sought by our motivated vendors, who are committed to downsizing. Viewing is essential to appreciate all that's on offer, so get in touch for a private inspection if you can't make the open home.